A trend seems to have been established with smartphone designers increasing the rear-camera count on their devices to try and one-up rivals. Like previous spec wars of the megahertz and megapixel varieties - more won't always be better - but such differentiation will help with marketing and sales to Joe Public, at least for a while. Earlier in 2018, HEXUS has reported on developments such as the Nokia penta-camera smartphone, and more recently the Samsung Galaxy A9 with quad-rear cameras. LG showed it wants to compete in this race with its new LG V40 ThinQ with triple-rear (standard, telephoto zoom, and super-wide) and twin-front facing cameras last month. Now it seems like LG is planning a massive leap forward in its rear camera counts, on at least one imaging centric device. 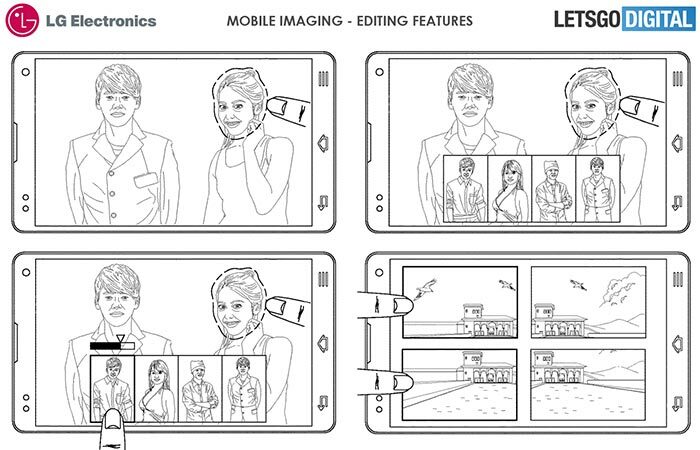 LetsGoDigital reports that LG has been granted a patent (PDF) with the USPTO for a smartphone with a sixteen camera grid on its rear. The patent describes the 4x4 camera grid with its lenses placed in a certain curvature within the matrix. The variable angles allow for photos from various perspectives and the built-in smartphone processing can make use of this 3D imaging data in a number of ways. As well as facilitating '3D' photography and video, and synthetic animations, users will be able to tweak an image using the image data from multiple lens sources. For example, many of the illustrations show on-screen editing allowing you to easily tilt the subject's head left or right, up or down. LG's AI software will also allow you to change a subject's head with a more flattering shot from your library. A mirror and a flash are also provided on the smartphone's rear. 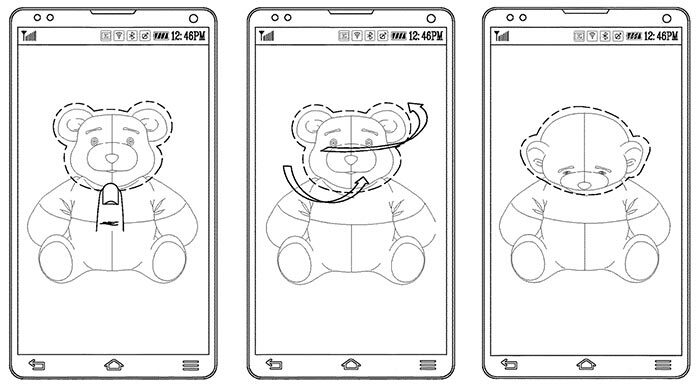 The mirror could be utilised for self-portraits and the patent describes an alternative build with a second screen for this and more advanced purposes. Speakers are located front and back too. Remember, these kinds of patents may not ever translate to a shipping product but it shows that at least one smartphone maker is looking carefully at what might happen in the smartphone multi-camera race and the potential afforded by a large number of rear cameras. No, go away with your stupid camera arrays. You only need 1 really great sensor. I can see this as a 3D imaging gimmick. I can't see it working very well as a 3D gimmick. If it is to be used on a flagship phone, it'll need a separate proper camera otherwise the compromises will be so great I can't see it being competitive. So it'll be silly expensive. Oh and “AI software” which will allow you to “change a subject's head”… umm, I can't see this being abused in any way shape or form. How long until “School kid kills self after fake naked selfie made on smartphone spread around school” hits the headlines? Simple image editing is one thing as it's so obviously fake, but making it seamless and easy is opening the door to all sorts of trouble. Photoshopping should remain a skill.